PokeStops are places, allowing you to collect items such as eggs and more Poke Balls to capture more Pokemon. So here is a little trick to create PokeStops based on "Ingress" portals, which was found by reddit user TheFarix via The Silph Road fan community. Ingress, the first game developed by Niantic, is the base architecture of Pokemon Go's map system. 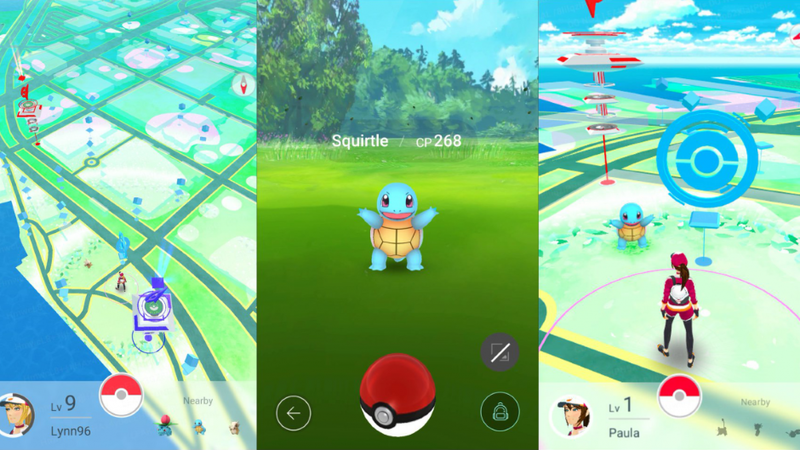 The game's theme is similar to Pokemon Go where you need to go to places and do stuff. The theme of Ingress is cyberpunk and the 'tasks' are mostly hacking computers and competing with rival teams to take over portals. Portals in Ingress are like PokeStops in Pokemon Go, they are linked to real-world landmarks. Niantic tag such places by locating geotagged images on Google and historical markers. Now "Pokemon Go" players can hunt up these imageless "Ingress" portals and submit a corresponding photo to Niantic via Ingress. If the submitted images are accepted, chances are Niantic will convert these "Ingress" portals into PokeStops. As the user suggested, " if you live in a rural area or small town or city, check around for Ingress portals without an image, then submit an image through Ingress. If the image is accepted, there is a very good chance that you will get a new portal soon after." You can have a try to see if the little trick works. If it works, it would be awesome. By the way, if you still play the game, we can offer you rare Pokemon as you wish. Pokemon Go accounts, power leveling and stardust are also available on our website. Is there a Thanksgiving event in Pokemon Go, stay tuned.